The National Transportation Safety Board’s preliminary report on the fatal collapse in March of a pedestrian bridge at Florida International University in Sweetwater focuses attention on the widely discussed pre-collapse cracking in the main span. The report also confirms accounts about what the construction crew working on the bridge was doing before the structure fell. But the report contains no definitive explanation of what occurred and months and possibly years more will be needed to determine the probable cause of the failure, which killed five motorists and one project worker. Issued May 23, the NTSB report states that while the board “is evaluating the emergence of cracks” in diagonal members located at both ends of the bridge, it is also studying “the propagation of cracks” near diagonal member 11, located at the structure’s north end. 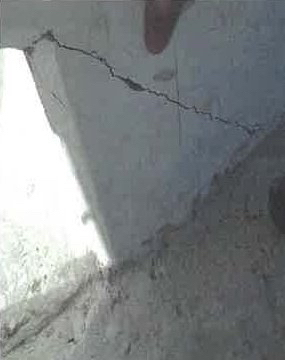 Photo 1: An image accidentally released by the National Transportation Safety Board earlier this month to the Miami Herald showing a crack in the region of bridge diagonal 11. A video of the collapse appears to show the failure starting at that part of the concrete truss bridge’s main span. Seven vehicles beneath the 174-ft-long bridge were occupied at the time of the collapse early in the afternoon of March 15. The partially constructed pedestrian bridge was being built by a design-build joint venture called MCM-FIGG, consisting of contractor MCM Construction and FIGG Engineers, both based in Florida. Following the design plan, construction crews five days prior to the collapse were “de-tensioned the bridge diagonal members on the north and south ends of the bridge,” the report states. On March 15, the day of the accident, a construction crew was busy “re-tensioning the number 11 diagonal member connecting the canopy and the deck at the north end of the bridge,” states the report. 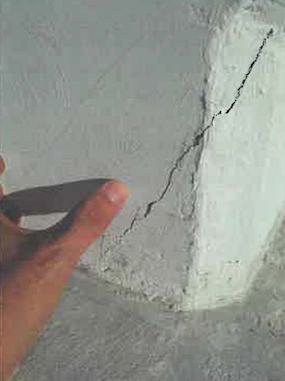 Photo 2: A second photo of a crack in the region of diagonal 11 of the failed Florida International University pedestrian bridge. The cracks are a focus of federal investigators. Much speculation about the cracks has been published. The project team’s knowledge of pre-collapse crackingin the bridge span was first reported on March 16, when the Florida Dept. of Transportation (FDOT) released the transcript of a voicemail it had received from the bridge project’s lead engineer prior to the collapse. Additionally, FIU acknowledged, the project team had met for more than two hours to discuss the cracking issue on the morning of the collapse. Also, the agency stated that “all aspects of the collapse remain under investigation,” including the bridge design plans. A final report on the FIU bridge collapse—which will include determination of a probable cause plus recommendations to avoid future accidents—likely won’t come until 2019, or possibly 2020, says the NTSB. Investigations involving fatalities usually take between 12 and 24 months to complete, the board stated. One of the first lawsuits—filed on behalf of FIU student Emily Joy Panagos, whose car was crushed—suggests that post-tensioning triggered the failure that brought down the structure. The lawsuit alleges that the post-tensioning compressed the diagonal so that it overstressed a joint in the top chord, triggering hinge failure at a connection in the lower chord and resulting in the catastrophic failure of the rest of the 174-ft-long structure. Aside from the technical aspects of the tragedy, the legal and financial ramifications are likely to be severe. One possibility, legal experts say, is that the two companies in the design-build joint venture—MCM actually employed FIGG on the project—will end up squaring off over the costs. FIGG’s liability could hinge partly on whether it recommended, designed or supervised the work involving tension rods or cables being performed on the bridge the day of the collapse. Rainey Construction, LLC is a full-service general contracting, design/build, and construction management service provider - providing construction services in ALL of Tennessee. Our experience is in - healthcare, government, office, institutional, retail and education construction. © 2019 Rainey Contracting All Rights Reserved.